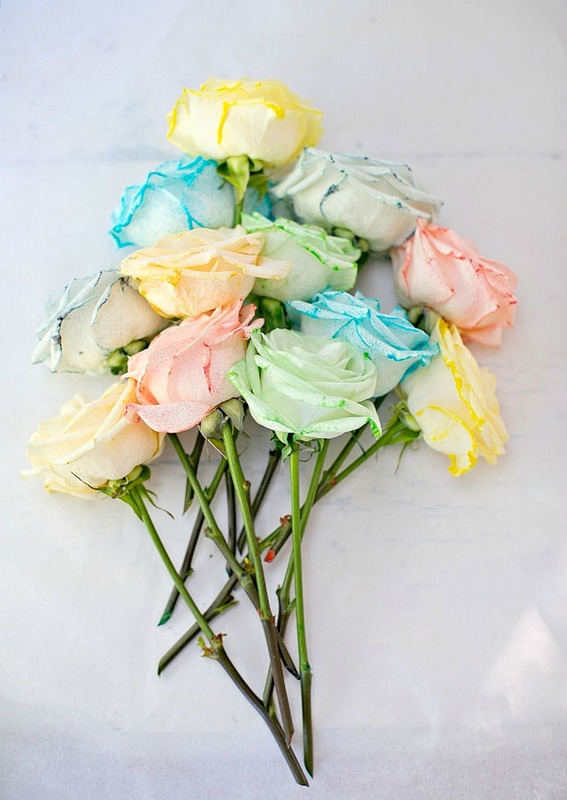 20 Modern DIY Project Ideas to Dye For | How to Dye Anything! If you’ve been wanting to experiment with dyeing, you HAVE to read this post with 20 modern DIY dye project ideas. You’ll feel inspired and ready to tackle any DIY dye project. Over the years, I have gotten really into dyeing fabric: from updating tired linens to saving money on clothes by giving them a fresh new look, I really love a good DIY dye project and I’m always looking for new DIY dye project ideas. 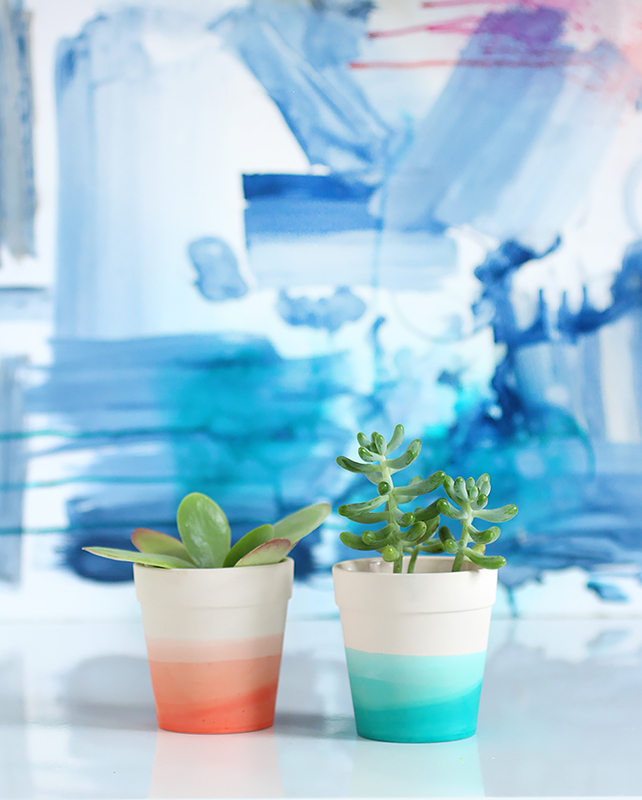 Plus, dyeing things has to be the easiest craft on the planet – it’s such a fun way to dip your toes into the world of DIY. 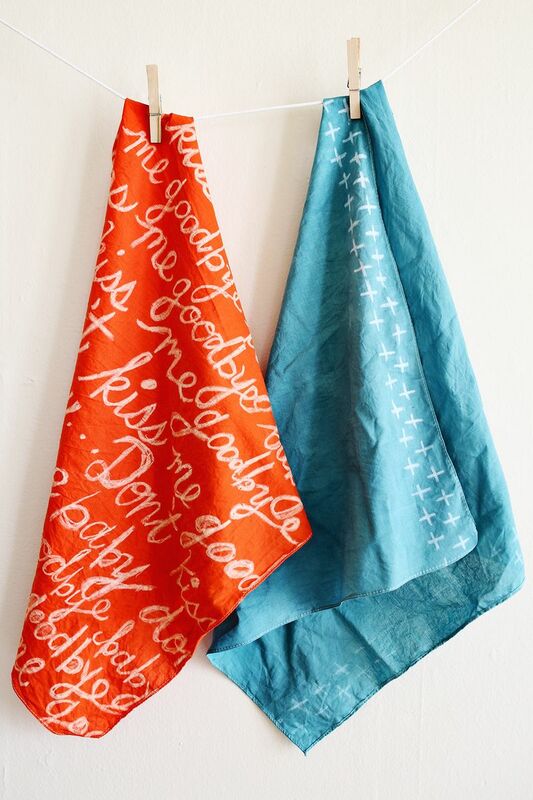 If you find yourself with extra time this holiday weekend, here are my favorite DIY dye project ideas from the Dans le Lakehouse archives – plus a bevy of other dye ideas I can’t wait to try. Whether you’re a knitter or a just making a cute wall hanging, don’t settle for store bought yarn colors. Yarn can be so easy to dye! Dip dye it (like the wall hanging from Brit & Co, below), tie dye it, use natural dyes or a bottle of turquoise Rit – the sky is the limit. 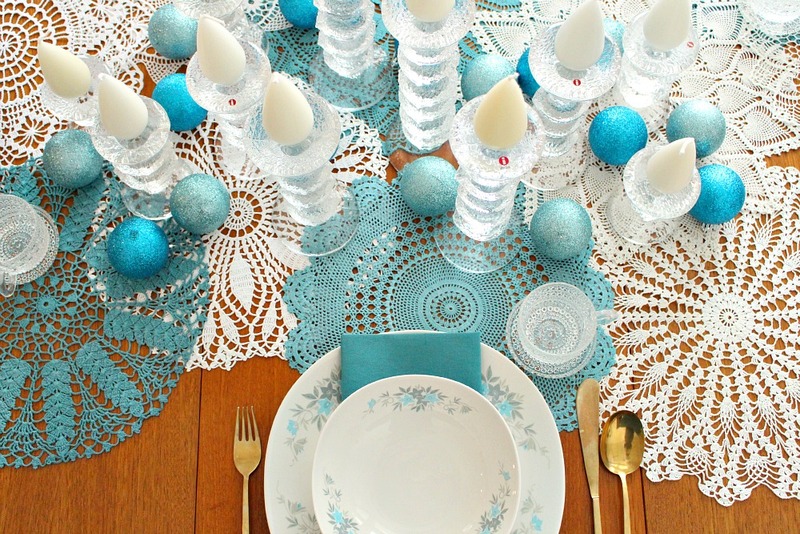 My DIY dyed doilies will be making another appearance this year because they complement wintry tablescapes – and my teal dining room chairs! – so beautifully. 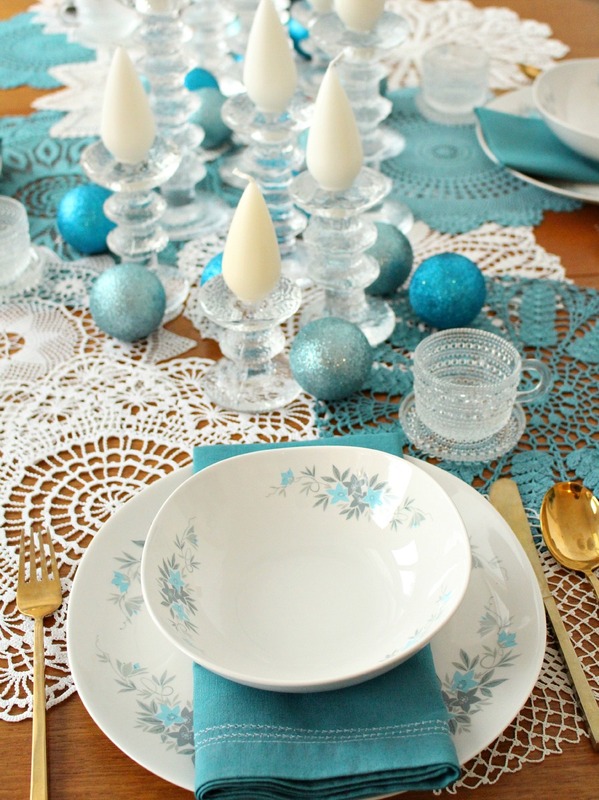 But I have a whole box of vintage doilies, so I’ve been considering a follow-up project in turquoise or indigo… ( I used Rit dye in teal for these ones). 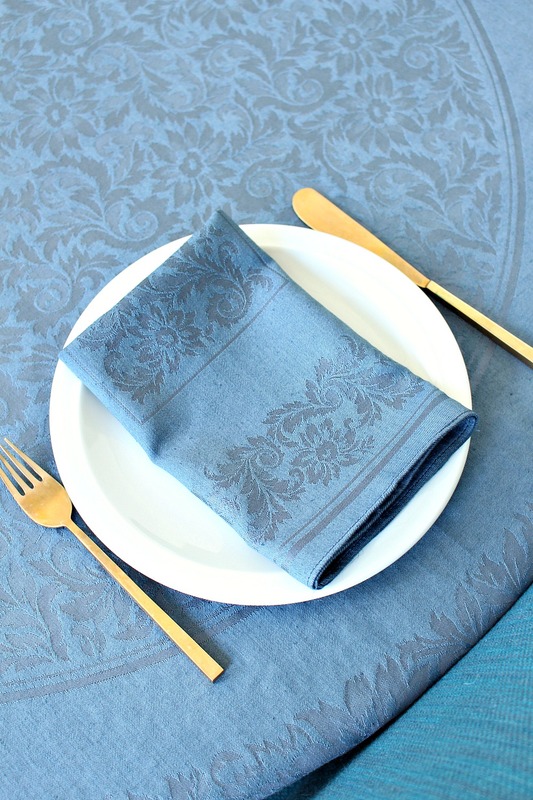 Once I saw how much more modern and interesting vintage doilies look once they’re dyed a fresh new color, I decided to update a vintage white linen table cloth and napkin set with a much more dinner-friendly gunmetal grey hue. 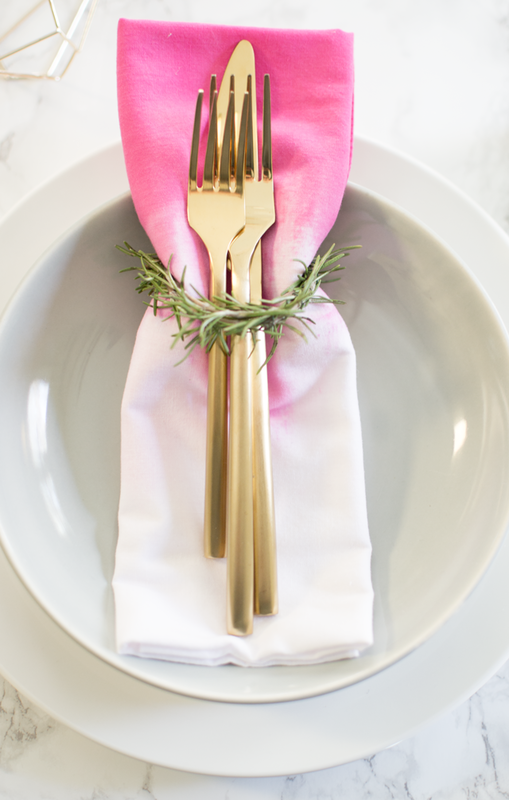 Dye is a great way to make tired, maybe a little discolored or stained, table linens look and feel new for holiday entertaining – or just to complement this year’s holiday color palette! 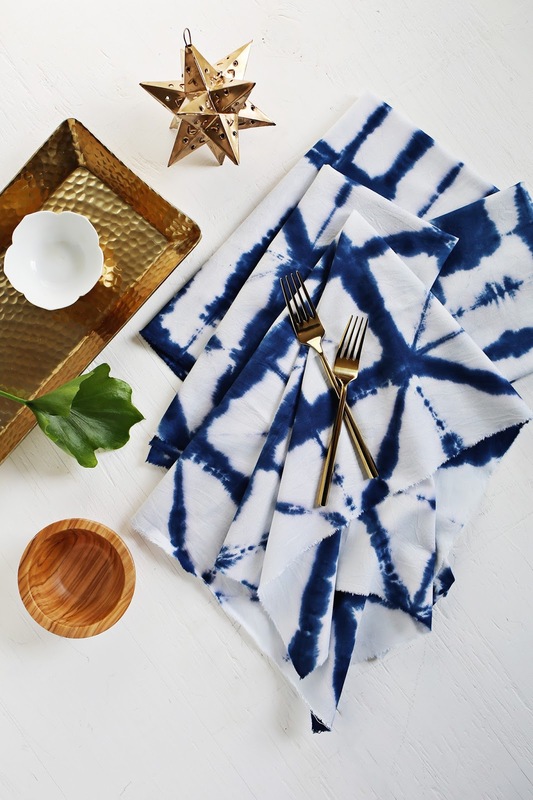 If you want to get a little more hands on with dyeing, try brushing it on to create a one-of-a-kind design with a painterly vibe – it looks perfect on a napkin with modern brass flatware. 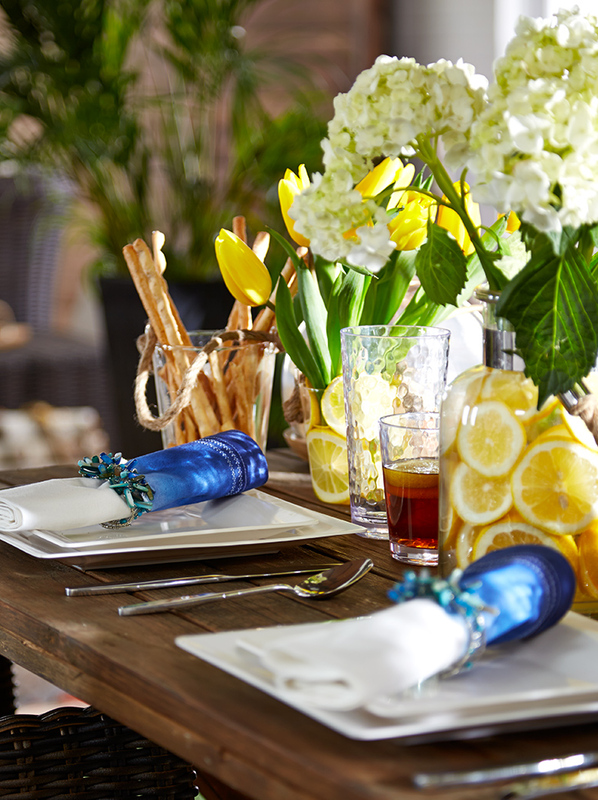 Get inspired by this tutorial from Home-ology. 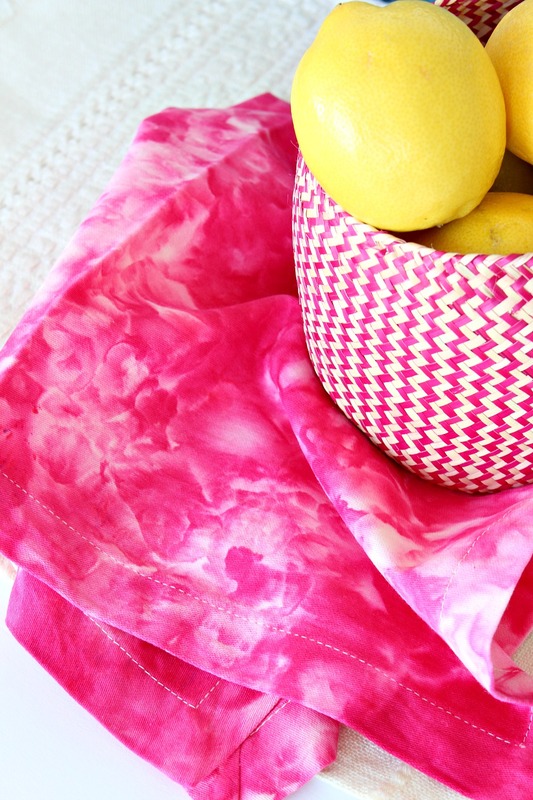 The ultimate set-it-and-forget-it DIY dye project! Pile up some fabric after soaking it in soda ash, cover it with ice, sprinkle with cold water dye, and just let the ice melt. It’s a DIY so nice, I’ve tried it twice: see my DIY ice dyed pillows and various color combinations of ice dyed napkins. 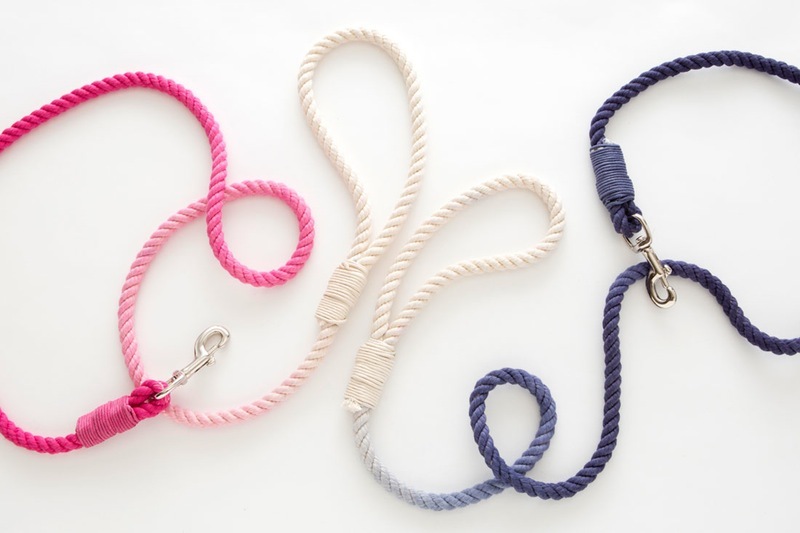 I’m dubious about whether this DIY dog leash would be tough enough for Szuka but if you have a pup on the gentler side, how sweet is this dip dyed rope leash? Great tutorial from Brit & Co.
With the holidays approaching, it’s time to start thinking about festive tablescapes and mantle decor! 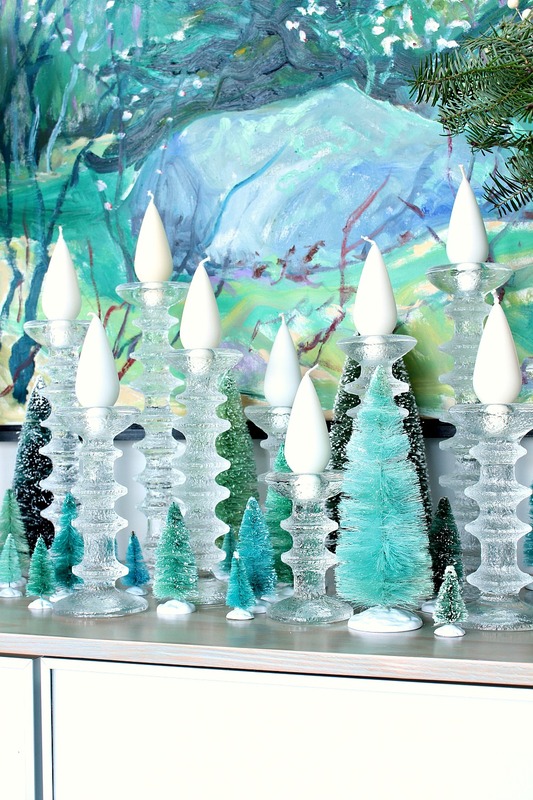 Try a classic bottle brush tree collection and customize it to match your decor with this easy DIY dyed bottle brush tree tutorial. Snag a pack of bottle brush trees online and give them a bleach bath before dyeing them whatever color you like – or just buy some pale pink frosted bottle brush trees, I won’t tell (you’ve got 19 other projects to try here!). Find a perfect holiday dress or top but it’s the wrong color? Take a stab at dyeing it yourself with this easy tutorial (click over for some trouble shooting tips for the best coverage). 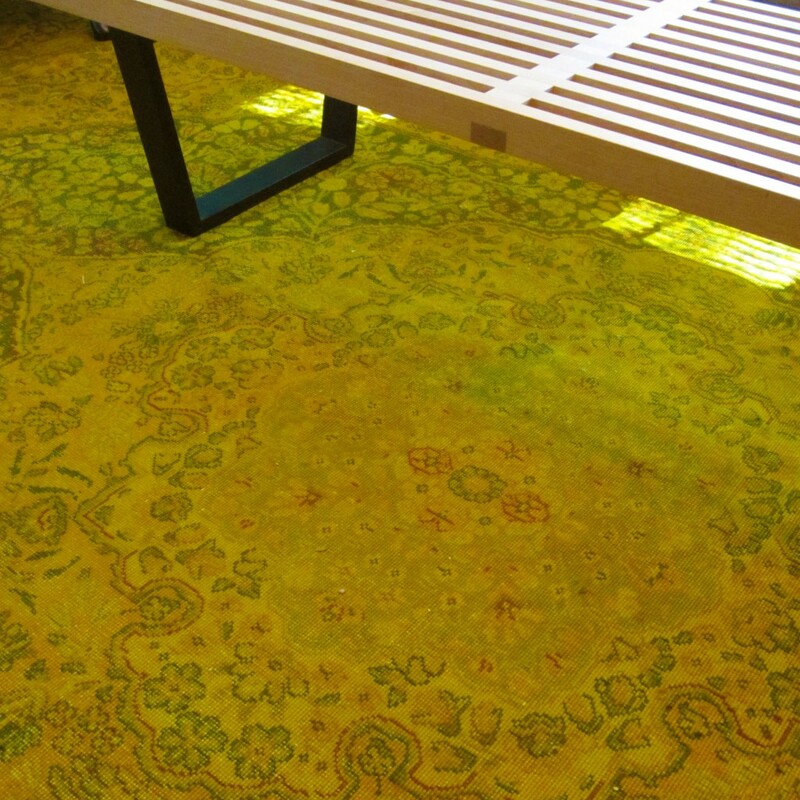 Yup, you can dye rugs at home! Hide a stain, or just give a thrift store find that gorgeous over-dyed look, with this tutorial from Design Lines Ltd. Sweet Paul has a lovely turquoise over-dyed rug tutorial too. Why is it that the darker the denim, the more dressy it looks? Deep indigo denims can pass for business casual and even look great with a sparkly top for holiday parties. If you found the perfect fit – in the wrong hue – just dye them darker! 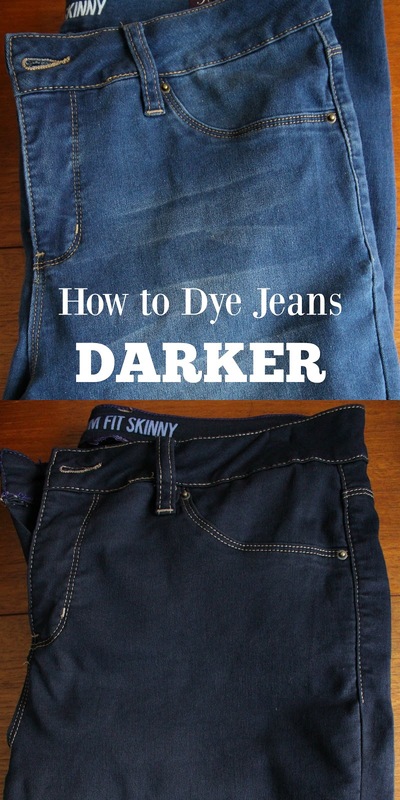 Read my tutorial for all of the details on dyeing jeans a darker shade. This necklace started out as a pile of embroidery thread and jewelry-making supplies. 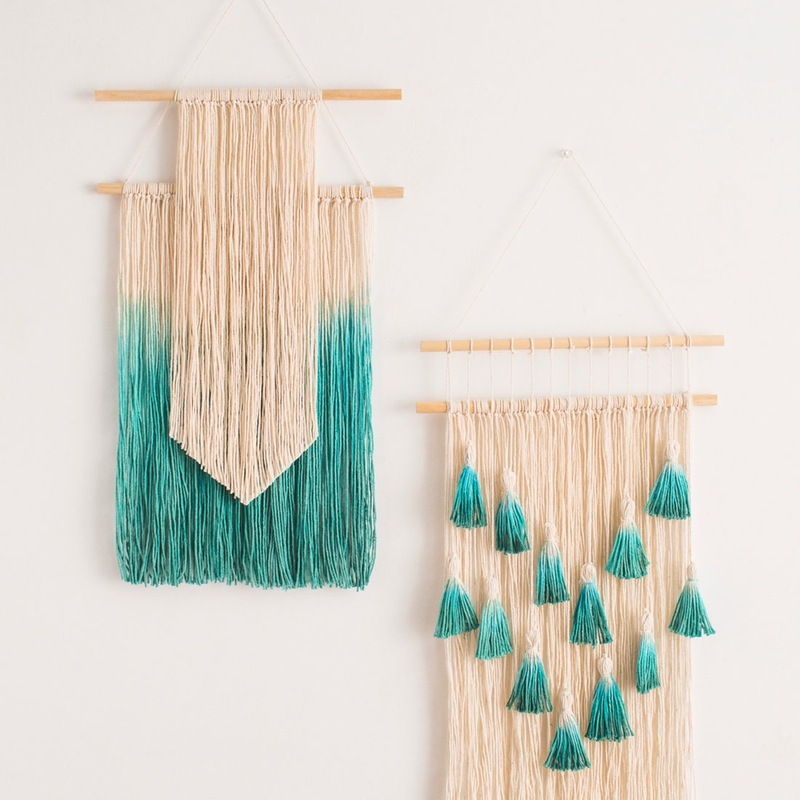 Learn how to make these delicate tassels from Oh the Lovely Things and hand dye them any color – even ombre! – to make a gorgeous, one-of-a-kind necklace. 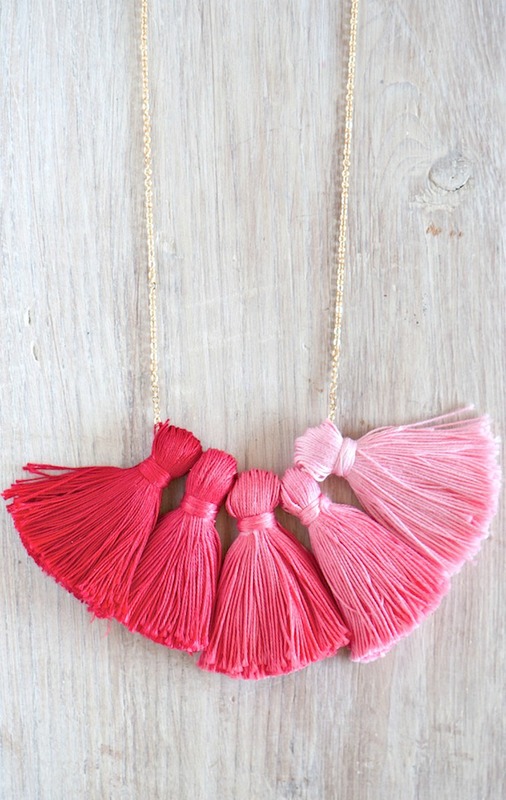 Or add hand dyed tassels to a throw pillow or blanket. While shibori has taken the lead as the ultimate DIY dye project, sometimes the simplicity of a good dip dyed project just looks right. 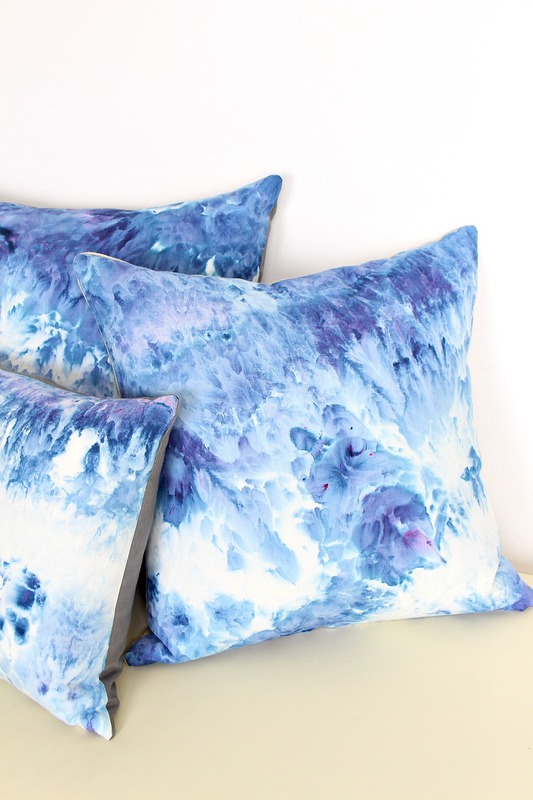 From throw pillows to napkins, dip dyeing can lend a watery, lakeside vibe to any home decor piece – plus it’s super easy! I’d say, dip dyeing might be one of the easiest of these DIY dye project ideas. Check out my dip dyeing tutorial for trouble shooting tips and tricks and get the scoop on achieving a softer gradient. Did the DIY above have you thinking, “I never realized you could dye wood”? 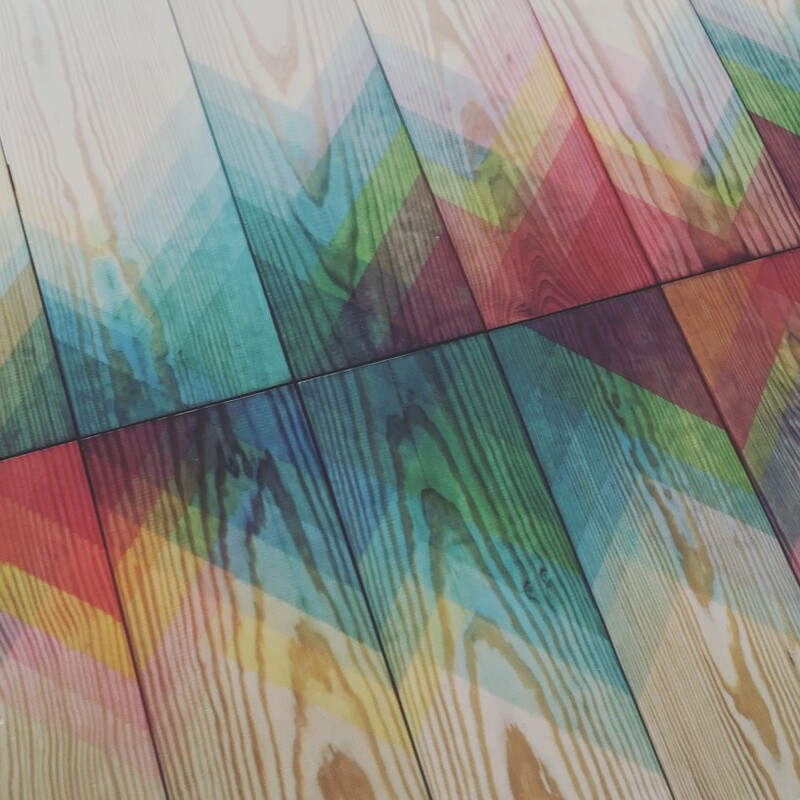 Dyed wood can look really amazing. 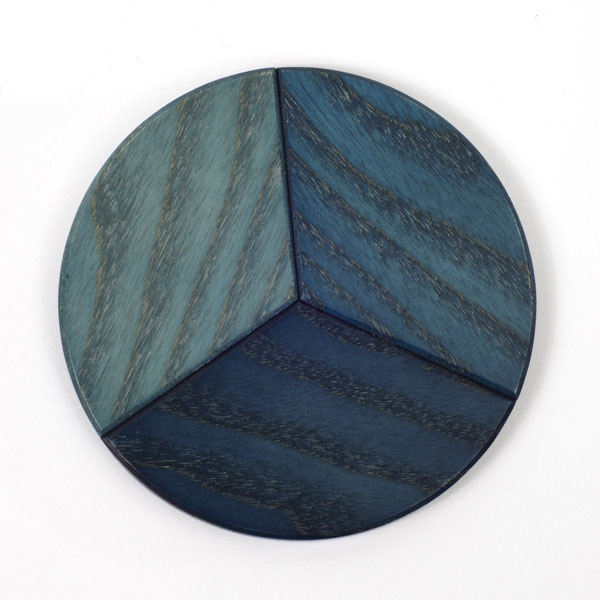 I’ve experimented with it (after seeing the image below) and made dyed birch slice coasters in a deep green shade. I’m planning to experiment some more and share a tutorial (the only trickiness is the moisture + wood, which can ruin a project quickly with warping). P.S. 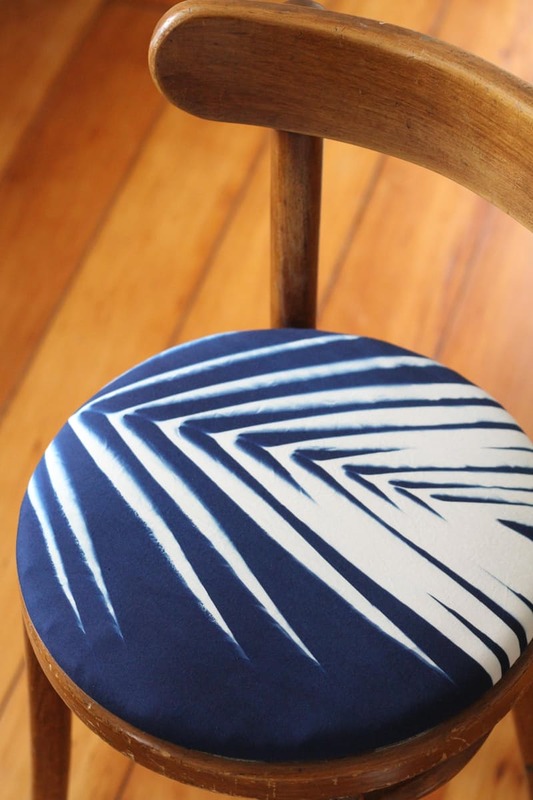 Have you seen this article about indigo dyed wood applications? So good. Next on my DIY dye to-do list is experimenting with all natural dyes. I’ve already been using purple cabbage as a natural alternative to food coloring, so the next step is to try out some natural dye methods. 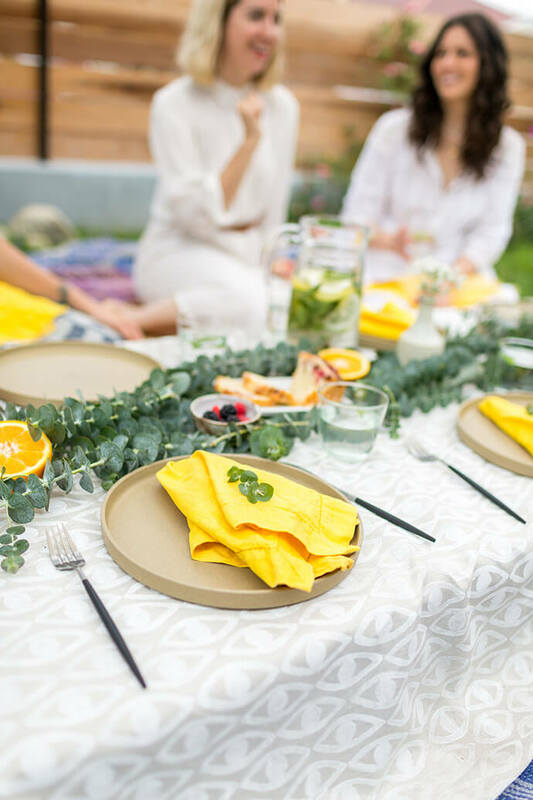 Tumeric makes a brilliant, bright yellow (as demonstrated by this great natural dye tutorial from Glitter Guide) but tons of fruits, vegetables – even acorns! – can dye fabric and I can’t wait to start experimenting. 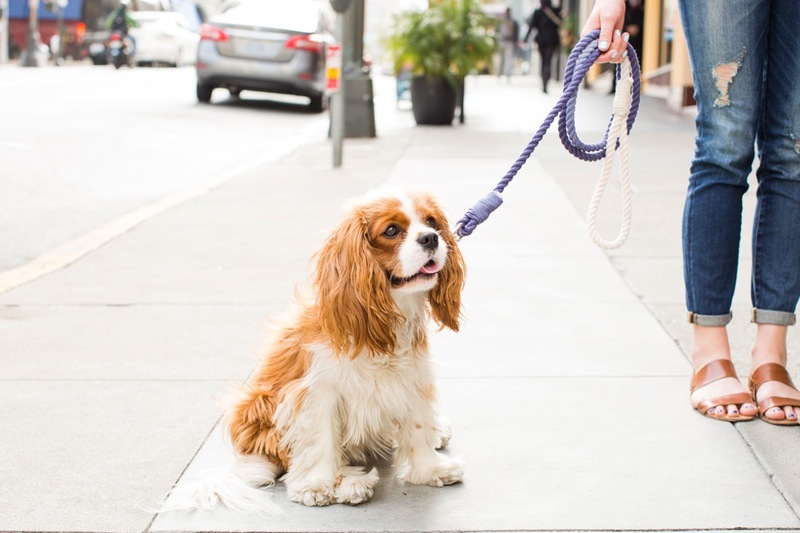 There are great resources out there to get started, like this handy guide. You need sun, a cyanotype kit, and some pretty leaves and flowers to make your own sun printed fabric with a botanical print (check out this great tutorial from Apartment Therapy). This was definitely on my summer diy to-do list but I ran out of time so I’m flagging this tutorial and looking forward to long, sunny summer days when I can give it a go! This might be the longest of the “been meaning to try this but just haven’t” DIY dye project ideas for me! I’ve wanted to do something like this since seeing kekfestes (the centuries old Hungarian twist on batik dyeing with Indigo dyes) in Hungary way back in the early 2000s during my first trip to Hungary. This tutorial from A Beautiful Mess is such a pretty, modern spin – and an easy, DIY-able take – on a technique that’s thousands of years old. You just need a simple wax resist crayon like this one. And this tutorial has tons of tips and tricks too. A must-try for me – got to finally do this during my winter craft-a-thon. Whoa! This was news to me: you can dye leather! 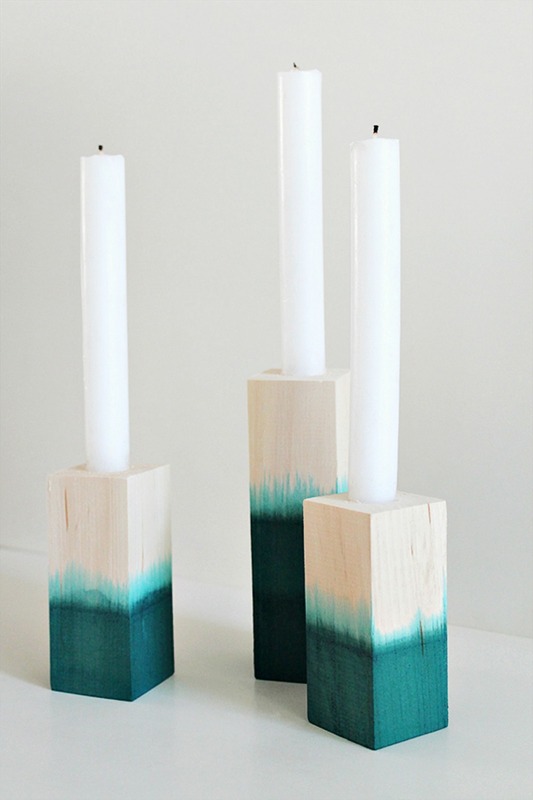 This might be one of the DIY dye project ideas that surprised me the most. 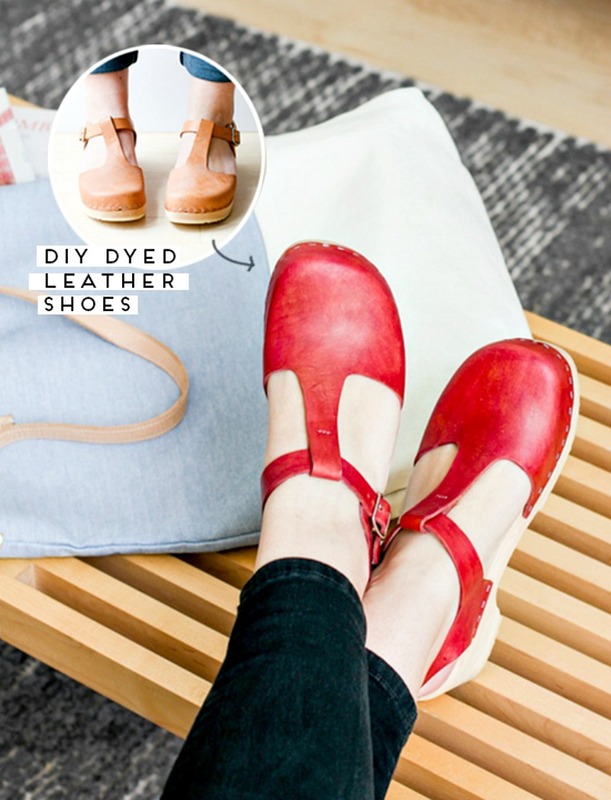 I’ve seen DIY dyed leather boots, a leather sofa refreshed with leather dye and now this gorgeous shoe makeover from Paper & Stitch. Who else is ready to raid their shoe closet for a DIY shoe dye party? Yup, you can pretty much dye anything! Nothing is safe, once you’re bitten by the DIY dye bug. Hopefully this round up of 20 modern DIY dye project ideas has inspired you – have I missed a great tutorial or one of your favorite DIY dye project ideas? Let me know in the comments! This has to be the best ever collection of dyeing examples, tips, and links in one place! This post is booked marked for future projects. Thanks for pulling it all together. Haha, dip dyeing is so addictive, isn't it? I find dyeing in general to be such a satisfying craft. Hopefully you find a great project to get into it again!